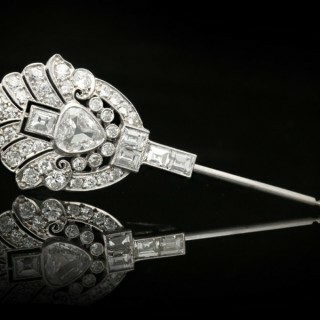 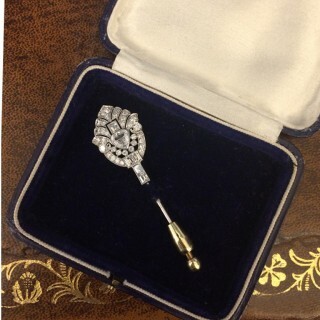 Art Deco diamond pin. 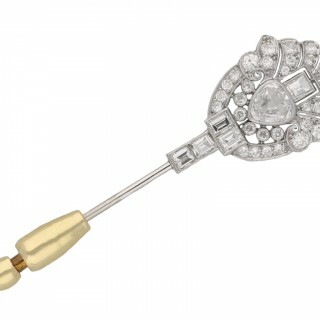 Centrally set with a drop shape old cut diamond in an open back millegrain setting with a weight of 0.70 carats, surrounded by five rectangular baguette cut diamonds in open back millegrain and channel settings with a combined weight of 0.75 carats, further adorned with thirty two round old cut diamonds in open back grain and millegrain settings with a combined weight of 1.00 carats. 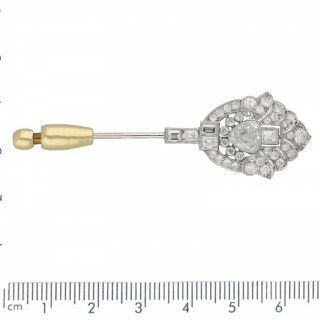 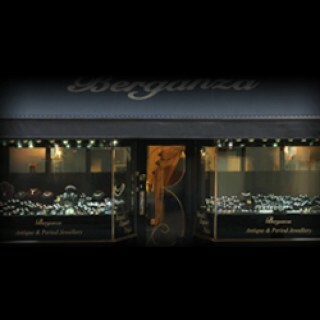 The total approximate diamond weight is 2.45 carats, to a stylised gardinetti design with intricate openwork, raised linear gallery and pierced geometric backholing, fitted to reverse with a secure pin and a safety push clip closure. 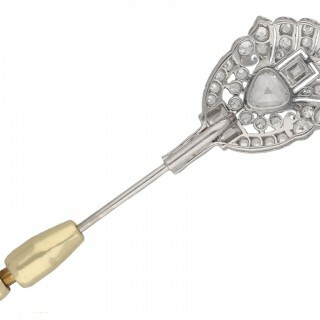 Tested platinum, circa 1935, accompanied by a fitted box.